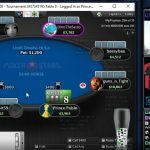 Arlie Shaban has completed the first of his 12 Labours challenge after taking on PokerStars pro Lex Veldhuis in a heads-up match streamed live on Twitch. Taking inspiration from Hercules’ battle with the Nemean lion, Shaban had to metaphorically dismantle Dutch pro Veldhuis in a private heads-up match. Starting with 1,500 chips each, the two exchanged strikes in front of their respective Twitch followers. At one point in the match, Shaban’s A♠K♥ took a near fatal blow against the A♦J♦ of Veldhuis. 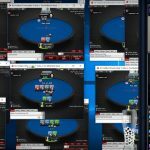 With their Twitch streams running in unison (only for viewers), the players engaged in as much verbal warfare as bets. Eventually, after being down to his latest handful of chips, Shaban caught a break and retook the lead. With the cards and confidence flowing his way, the Canadian caught Veldhuis bluffing to clinch the match with a broadway straight. With the challenge successfully completed, Shaban is now awaiting the details of his next labour. For viewers, the latest challenge is an interesting mix of light entertainment, poker, and video gaming. 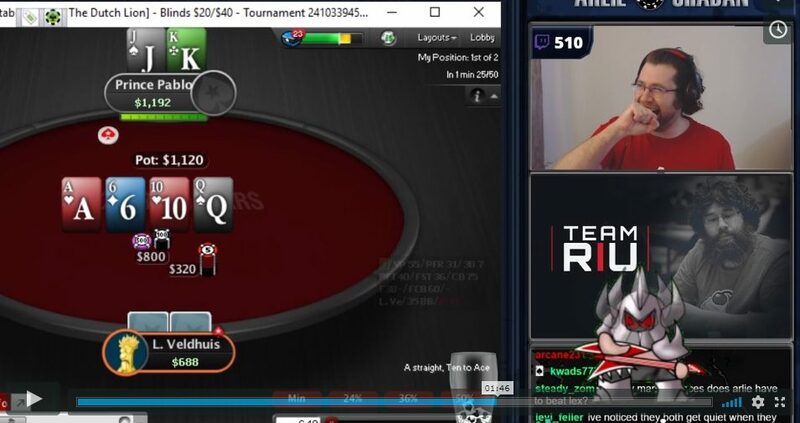 By broadcasting the action on Twitch, PokerStars has tapped into the streaming culture popular with gamers. 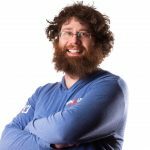 With Shaban able to show off some of the charisma that earned him a place in the Big Brother house, the promotion is as much about making poker as a form of entertainment as a competitive endeavor. In essence, 12 Labours is blurring the lines between video gaming and poker. By putting it in context alongside innovations such as Power Up, the promotion is part of a wider move to bring players from the video gaming community over to poker. Although competitive gamers like Bertrand Grospellier and Randy Lew have helped establish links between the two industries in the past, it’s only recently that operators have upped their efforts to be more appealing. In the past, competitive gamers transitioned to poker because it was another way to test their skills and make money. Now, however, poker variants with a video gaming vibe are tempting causal gamers to crossover. 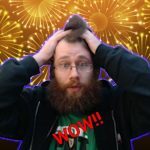 In this sense, 12 Labours of Arlie is another example of how poker is aligning with Counter-Strike and League of Legends to become a form of online entertainment for the younger generation. This is too much fun. I’m sorry I missed the first stream. Will have to keep an eye out for the next challenge! He has a lot of patience, honestly I’m shocked with him,how can you achieve success in poker without spending all the time on it! After reading the article I saw the streaming on you tube very cool the 12 labors challenge and I hope he did well the challenge he was too calm to recover and still win the game of turn. But GL to arlie in a year he made what alot of poker players dont achive in a life time. I was watching this at the time, his reward trophy was really nice. It must be very tough to try and hide it when you get a monster whilst you’re constantly chatting in heads up. I wish him luck in his future labours.